Today we saw one of the finest new license plates to ever come out of Sudden Valley: An Arrested Development themed ANU STRT plate. But that got me to remember one of my favorite moments from The Simpsons. 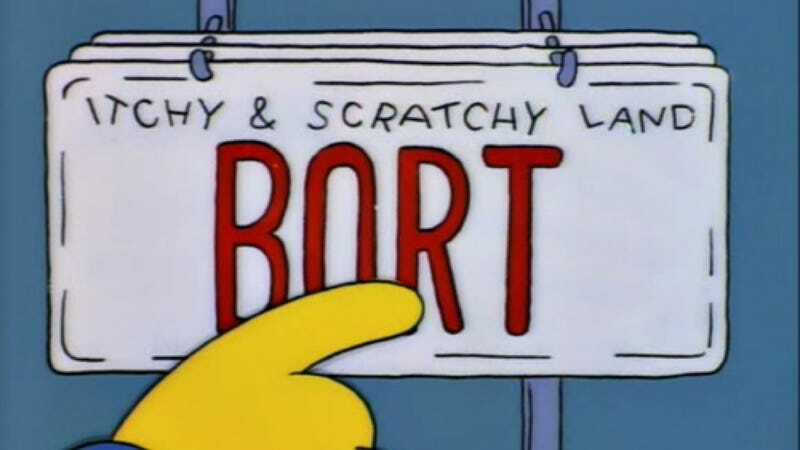 My son&apos;s name is also Bort. God I love The Simpsons.